Here is my submission for Challenge #2 at The Paper Cabana. When I think of fall, I think of the apple orchard we always visited near my grandparents’ home in Central PA. 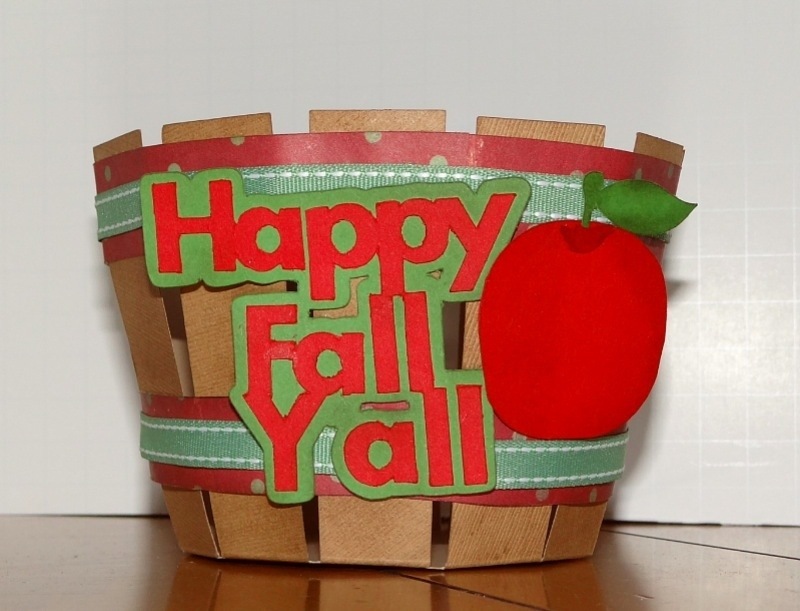 This Apple Bushel Basket reminds me of the baskets we used to bring the apples home in and is so easy to put together. It makes a great presentation for a muffin, cupcake or other sweet treat. I created the cut file for the Bushel Basket from an old paper template. Stampin’ Up! Real Red, Gumball Green and Very Vanilla Cardstock.